You life isn’t just about your job, what you do for a living, or the things that occupy your time. It isn’t merely about the clothes you wear, the car you drive, or the image you seek to build for yourself. You know there are more important things than that – it’s about following your passions and living your dreams, about spending time with those you love and building relationships, investing in what really matters to you. It’s about choosing the path that was meant for you, claiming your day-to-day victories, and collecting moments that make your existence much more meaningful. 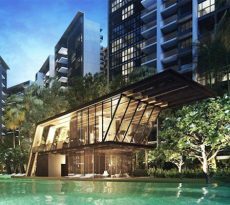 You can rediscover a more fulfilling, but less complicated lifestyle at the Centren – a modern, freehold address at 1 Lorong 27 Geylang in District 14. At this place, you can focus on the things that really matter to you. With only thirty-four residential units through its eight floors, will be quite lightly populated by the time you’re ready to move in. Thus, instead of spending your time and energy dealing with the crowding and the clamour of other residents, you’ll have more time for relaxation and quietude. The Centren offers two-bedroom apartments as well as three-bedroom ones. 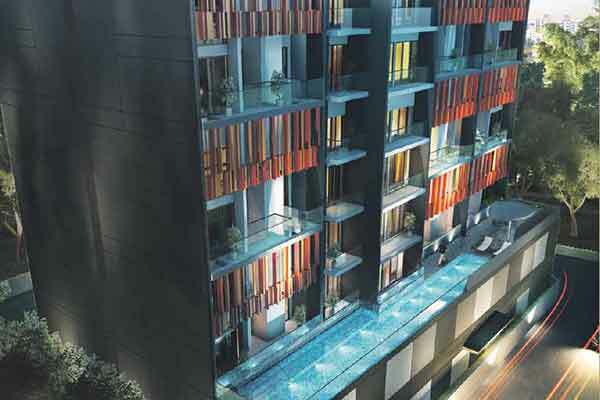 These life spaces are appropriately finished with the best elements, and furnished with trusted brand-name appliances. You and your family can live in peace, knowing that you’re safe, comfortable, and well-taken care of , as you spend each day in your brightly-lit, well-ventilated designer home. – Tone up at the indoor gym, or if you prefer, at the indoor gym. 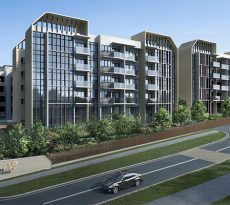 The development also comes with a pavilion, landscaped gardens, and a carpark. For even more recreational options, you can also turn to the various offerings made available by the surrounding neighborhood. If you’re in the mood for some sporty activities, you can head for the Geylang Stadium, Singapore Badminton Hall, Kallang Netball Centre, or Singapore Swimming Centre. For some malling and retail therapy, you can easily go to Paya Lebar Sqare, City plaza, Tanjong Katong Complex, or Joo Chiat Complex. 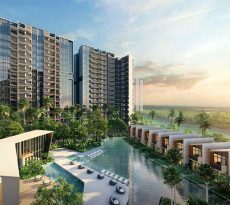 Not too far away are 11 Katong, Katong Shopping Centre, Roxy Square, and Parkway Parade. The Singapore Sports Hub is just a short drive away as well, a world of recreational options all in one general location. Within its vicinity are the National Stadium, OCBC Aquatic Centre, OCBC Arena, the Water Sports Centre, Singapore Indoor Stadium, Kallang Theatre, Leisure Park Kallang, and Kallang Wave Mall. The compound also houses the Sports Hub Library, the Singapore Sports Museum, Climb Central, various play areas, several restaurants and cafes, and a selection of shops. Food choices abound in the area too, with several restaurants, fast food stops and hawker centres just minutes from you new home. Among the many food centres close by are Old Airport Road Food Centre, Haig Road Market, Dunman Food Centre, Geylang Bahru Block 69 Market, Sims Place Block 49, and LC Food Centre. If or when your children are old enough to go to school, you can rest assured that there are many educational institutions within a short distance. You can take a look at Raffles Montessori Kindergarten or Geylang Chinese Methodist Kindergarten for your little ones. Geylang Methodist school offers both a primary and a secondary education, and their campuses are just a quick drive from home. You can also consider Canossa Convent, Macpherson Primary, Kong Hwa School, Chung Cheng High School, or Broadrick Secondary. If your kids are seeking an international education, you can enroll them in Eton House International Pre-School or Canadian International School. For your college-age sons and daughters, they can opt to go to Cambridge Business School, Shelton College International, or Rainforest Business College. The Centren is brought to you by Pinnacle Development Pte. Ltd., and will be ready for moving into by 2017.It is auspiciously located between several main roads, such as Geylang Road, Sims Avenue, Guillemard Road, and Aljuneid Road. The site is also quite near to the KPE and the PIE. The nearest MRT Station is Aljunied on the East-West Line. Also very close by is the Paya Lebar Station, which is both on the East-West and Circle Lines. Make more time for your loved ones and your passions at the Centren. Go ahead and live the life you desire – you know you want to. Call on iCompareLoan motgage broker for a stress-free way to compare home loan Singapore.